These are momentous times for the BBC, the UK’s public service broadcaster. While it is under constant ideological pressure from some corners of the British media and political forums, its continues to impress creatively through flagship series such as Blue Planet II, and commercial arm BBC Worldwide (BBCWW) continues to profit handsomely as a result. Times are a-changing, however, and the tax payer-funded BBC is changing with them. BBC Studios, the production wing, became a commercial entity and wholly owned subsidiary of its broadcaster parent in April 2017, with some previously in-house shows going out to tender. Now developments are going one stage further. This April, BBCWW and BBC Studios are merging under the latter’s name, bringing together production and distribution for the first time. This has led to concern about how the BBC’s existing relationships with indies will operate going forwards, seeing as both sides of the business could (in theory) have access to reams of vital information about rivals. The BBC claims the move is simply “into line with the rest of the industry” in an “increasingly competitive and global market for production and distribution”, citing the business models of FremantleMedia, All3Media, ITV Studios, Banijay Group and NBCUniversal. Depsite all this change and upheaval, the BBC Worldwide Showcase, the BBC’s major programming event held in Liverpool, England, every February remains of massive importance. BBCWW estimates that more than 700 buyers will attend the 42nd iteration of show, where they will have access to thousands of hours of TV programming through 600 specially designed digi-booths. Top British talent such as the new Doctor Who, Jodie Whittaker; Luther’s Idris Elba; Alan Partridge creator Steve Coogan and Ricky Gervais collaborator Karl Pilkington will all descend on Liverpool’s Albert Dock to help entice buyers, as they are presented with numerous shows for the first time. While the BBC does not break out how much it costs to put on the event, estimates from informed sources suggest deals done during the show account for as much as 20% of the entire year’s programme sales. Overall, BBCWW made sales (all business units, including programme sales) of £1.06 billion (US$1.48 billion) in 2016/17, making a headline profit of £157.3 million and returning £210 million to its public service parent. 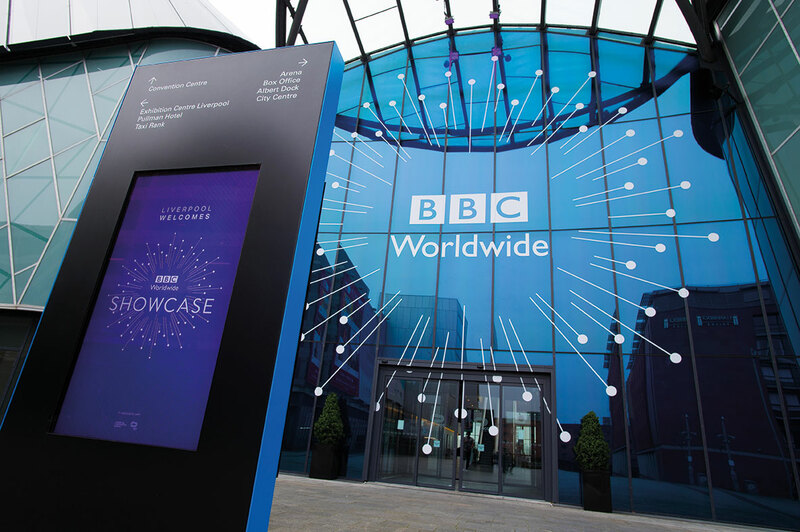 BBC Worldwide’s president of global markets, Paul Dempsey, declines to put a figure on how much Showcase generates other than to confirm it is “a significant portion of our annual sales revenues”. The BBC seems keen to keep up that pace, and BBCWW CEO Tim Davie has been handed the same role at the merged BBC Studios, which still needs regulatory approval. BBC Studios director Mark Linsey will be chief creative officer of the new operation, which this month secured its first non-BBC commission, Discovery Channel conservation documentary The Red List and followed that up with another for Channel 4, the 1x60mins Fatberg Autopsy. Docs for Channel 5 are also coming. 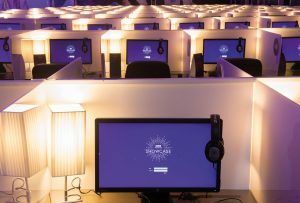 Davie and his chief sales lieutenant, Dempsey, will be in Liverpool courting its biggest ever number of tech giants – Netflix, Amazon, Google, Facebook, Apple and Microsoft will all be in attendance, along with local SVOD services such as Hulu, iFlix, Showmax and Stan. Along with the hard sell, BBCWW will be hosting a coproduction forum, with many buyers in town to find great British projects to invest in and market locally as originals. “It’s been a good year so far in content sales,” says Dempsey. “Foreign exchange has gone against us in recent months, but our content continues to perform very well. This is the week Beeb sales executives earn their keep, at an event their employer, the world’s biggest distributor apart from the US studios, describes as “the largest international TV market to be hosted by a single distributor”.